On Thursday, March 9 at 5:30 p.m., all of your favorite Homewood eateries will come together for the 16th annual “Taste of Homewood”. Hosted by the Homewood Chamber of Commerce and presented by the Homewood Star, 30 Homewood restaurants are gathering in Rosewood Hall to provide food and drink samples to the over 400 hungry patrons they expect to host. New restaurants to the vendor lineup include biscuit specialist Holler & Dash, to-go caterer Lunchbox Express and seafood chain The Shrimp Basket. Each restaurant will give eaters a glimpse into their cuisines, encouraging them to return for a meal and explore other areas of Homewood. Allen Barlow will provide acoustic music for guests to enjoy while dining and socializing. To encourage socialization, Homewood Chamber of Commerce communications manager Sarah Anne Elliott suggests using the hashtag #tasteofhomewood on social media posts throughout the night. 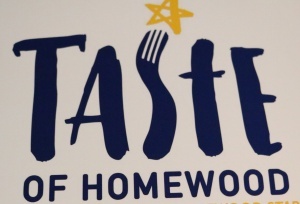 “This year we are encouraging attendees to use the hashtag #tasteofhomewood to post on social media and be entered to win a Shop Homewood Instagift gift card and the chance for their photo to be featured in the marketing of next year’s event,” Elliott said. Entries will be taken from Twitter, Facebook and Instagram. Tickets are $30 until the day of the event, when they will increase to $40 at the door. The proceeds go to Chamber of Commerce scholarships and Homewood community development. Brings the kids, too! Children under six enter free. Interested in visiting one of the featured restaurants ahead of time or stopping for a full meal following the event? Click on the map below to explore the locations of your tasty options.